With the death of Sergio Marchionne, Mike Manley will take on the challenges of the world’s seventh-largest automaker, which just lowered its profit projections. Career: Worked 14 years in car dealerships before being hired to run Daimler­=Chrysler’s U.K. dealer network in 2000. Made vice president of dealer operations in 2003. Later put in charge of two key moneymakers, the Jeep and Ram lines. A decade later, Jeep has been revitalized in the U.S. and expanded into a global powerhouse. It’s the key sales driver for Fiat Chrysler Automobiles, as well as the linchpin in the company’s plan to double profits in the next five years. Manley, a 54-year-old Briton, was picked by Chairman John Elkann, the scion of Fiat’s founding family, to replace a gravely ill Sergio Marchionne last weekend. Marchionne died on Wednesday. Running a car company requires not just the instincts of a salesman but also the deft touch of a politician. So Manley will have to show Wall Street he’s more than just a prolific seller of Jeeps and Ram pickups. His elevation means navigating through numerous minefields: President Donald Trump’s trade policy, doubts in Italy about whether the first non-Italian CEO can run the 119-year-old company, and the existential questions over whether Fiat Chrysler needs a partner to help with investments in electrification and surviving technological disruption from autonomous vehicles. Manley has been on the list to replace Marchionne for years. At the 2016 North American International Auto Show in Detroit, Marchionne said he was “squeezing out’’ his potential successors, and whoever survived would become CEO after his departure. Manley is expected to share the burden of replacing Marchionne with Chief Financial Officer Richard Palmer, who had been Marchionne’s alter ego with investors. Marchionne, who defied skeptics by repeatedly setting and meeting audacious profit targets, is almost worshipped on Wall Street for increasing shareholder value more than tenfold. Born in 1964 in Edenbridge, a small town about an hour and a half’s drive south of London, he graduated from London South Bank University in 1985 with a degree in engineering and later earned a master’s in business administration from Ashridge Management College. He spent 14 years working in car dealerships before being hired to run DaimlerChrysler’s U.K. dealer network in 2000. Manley moved to the U.S. in 2003, initially to become vice president of dealer operations, with more responsibilities coming later. In 2009, after Fiat had taken control of the post-bankruptcy Chrysler, Marchionne gave Manley the Jeep brand. He joined the company’s General Executive Council, its highest decision-making body, in 2011, and became head of the Asia-Pacific region. In 2015, he added Fiat Chrysler’s other cash machine, its Ram truck brand, to his portfolio. It was during those early years in the U.S. that Manley began to earn the trust of Fiat Chrysler’s 2,640-strong dealer body, a group he has consulted frequently to keep his finger on the pulse of the market. They say it’s not unusual to wake up to a text message from him asking how a certain model — the Jeep Compass or the Ram 1500, say — is being received in a particular market. Cass Burch, who owns a handful of Chrysler, Jeep, Dodge and Ram franchises in southern Georgia, dropped in on Manley at the Auburn Hills, Michigan, headquarters in late 2014 or early 2015. Manley spent an hour and a half with him in Fiat Chrysler’s high-security design studio in the bowels of the corporate complex, laying out the entire new Jeep product line. At the end of it all, Manley looked intently at Burch and asked what he thought. The world’s seventh-largest automaker, Fiat Chrysler will have to make great strides in China if it wants to keep up with competitors and make good on its most recent profit and sales goals. 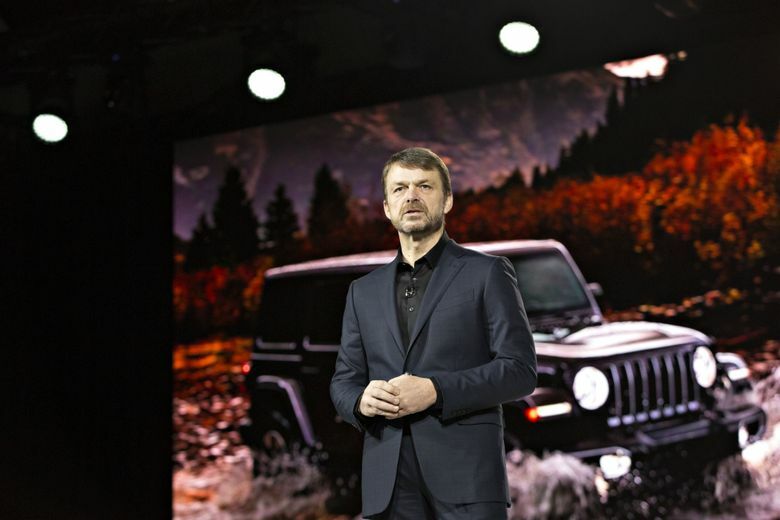 That challenge came into sharp focus for Manley on his debut earnings call earlier last week, when Fiat Chrysler lowered its profit outlook after dismal Jeep sales in China.